With a mission to disrupt the hiring process through intelligent interventions, Skillate, a Bengaluru-based startup, is aiming to create an ecosystem that expedites the recruitment undertaking. The company, which was founded in 2016, is facilitating an employment platform which uses natural language processing (NLP) and deep learning algorithms to increase the efficiency of the overall process. Analytics India Magazine interacted with Bipul Vaibhav, CEO of Skillate to understand how they use artificial intelligence and deep learning for the platform, their journey so far and the challenges they have faced. Vaibhav explains that Skillate, a cloud-based business-to-business application, helps recruiters find the most relevant candidates for their requirements, leveraging their inert database. They use AI to completely eliminate the repetitive and voluminous work of manually screening and shortlisting candidates. “Resumes are documents which have no standard format. However, training with 20 million profiles has made Skillate smart enough to understand any format of resume and convert it into structured information,” shares Vaibhav. Using NLP and deep learning makes the matching recommendations highly accurate. It also incorporates the power of self learning, where it learns company’s hiring patterns to enhance the results. “This robust application also help companies during campus hiring and recruitment drives,” he added. This allows recruiters to select the best candidates on the go, thereby reducing dependency on external sources and helping recruiters to close the positions quickly. The startup claims that they can reduce the time to hire by more than 50 percent and cost per hire by more than 30 percent. “Skillate is envisioned as a product which can consistently address the recruitment inefficiencies and helps companies build stronger teams,” he added. In the current scenario, recruiters have to stay updated with the changing dynamics of the industry. Skillate’s core tech has automated that process, as it collects resumes from all potentials sources such as internal database, ATS, Google Drive, mailbox, referrals, external agencies and career pages, and runs its sophisticated ML model on the incoming resumes. It then makes sense of data and intrinsically assign quality scores on multiple criteria. Skillate also make sense of the job requirements and runs its matching algorithm on wide array of complex criteria to sort those candidates in decreasing order of their relevance. Skillate provides many tools around this tech to enable recruiters to quickly make decisions and push forward in the hiring pipeline. Suggesting better keywords and skills for creating a requisition. Narrowing down number of candidates with customisable smart filters. Communicating directly with candidates with email open rate insights. Collaborating with hiring team so everyone is on same page and able to move forward. De-duplicating resumes for agencies to know proactively that their resumes are redundant. 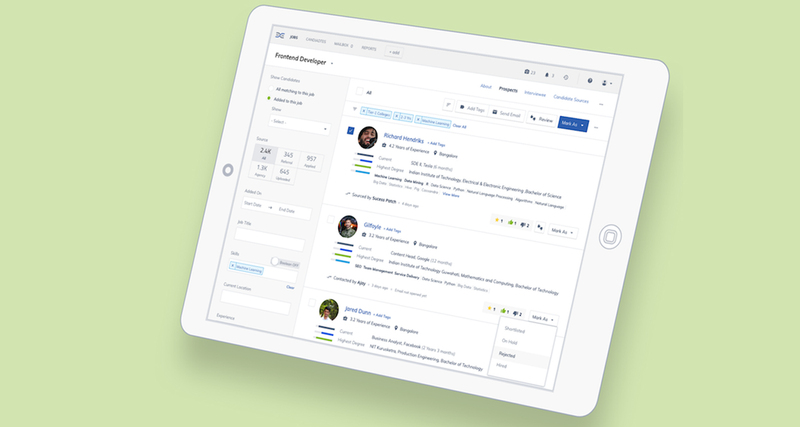 Seamlessly pre-screening inbound candidates in large enterprises. Maintaining action records as a timeline per candidates for any recruiters to understand the entire of a candidate at a single glance. Having raised a seed round of investment from Incubate Fund India and currently incubated at SAP Labs, Skillate has seen some early adopters of their technology in companies like Big Basket, Treebo Hotels, HomeLane in early 2017. “Currently we are working with some of the large enterprises in banking, IT Services, FMCG, manufacturing and construction sectors like L&T and HDFC Bank, among others.”, shares Vaibhav. He adds that their platform is being used by recruiters across all business verticals to find the best candidate from their internal repository of candidates, thus helping them close positions with the right talent, swiftly. “We have made ‘Smart Career Pages’ for clients to help attract more talent for their requisitions, decreasing their dependency on external sources”, he said. Skillate’s AI algorithms have been trained with a dataset of 20 million profiles. Its understanding of hiring pattern of the companies and recommendation of candidates as per its learnings, is very unique. It not only automates the recruitment efforts, but does it intelligently and smartly. The startup believes that every company, especially the ones in India have different hiring patterns, not just in verticals but also based on location. Skillate’s matching algorithm is made to self-learn these patterns based of recruiter actions, job descriptions and resume inflow to improve the recommendations for recruiters. Vaibhav also added that it is his team that makes the company, and thus the product unique. He said that all of the core members are alumnus of Indian Institute of Technologies, with experiences various industries, and are all highly motivated. Vaibhav added that there is positive synergy between them and that they are highly efficient in solving any problems. Vaibhav shares that their previous employers faced a lot of challenges in manually screening applicants’ resumes and shortlisting the most suitable ones. It only forced the companies to spend more time with resumes instead of candidates. “On further research, we found that its a widely spread phenomenon and its indeed making the entire recruitment cycle extremely inefficient. With increasing complexity in job requirements and a huge number of job seekers, the problem is even more aggravating in the Indian context,” he said. Skillate, co-founded by Vaibhav, Kumar Sambhav and Anand Baranwal addresses this issues with their AI-powered solutions. 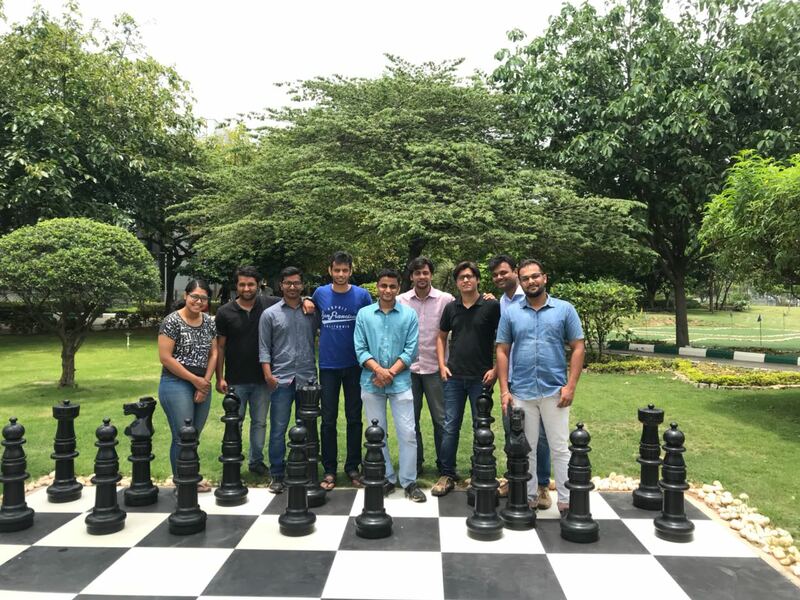 Vaibhav and Sambhav had worked on several AI based research projects in their college days, which made them realise that this prevalent business problem could be addressed through AI. “This is how we got inspired for the idea,” shared Vaibhav. Vaibhav believes that varied hiring patterns across industries and within hiring teams makes it exhaustive for the system to train and learn from the human intelligence, expertise and industry trends. Enterprises prefer to remain single interface users. They expect new products to be seamlessly integrated with all job boards, communication channels, internal network and tracking system, which is a challenge because of their inherent integration constraints. “We plan to make 2018 the year of extensive growth and market penetration. We are already on-track to disrupt three large Indian sectors — banking, IT and FMCG — and would add three more sectors to this list by the end of the year. We also plan to have a global footprint by the end of third quarter of 2018,” said Vaibhav. Skillate is offering innovative solutions in AI and deep learning right from job posting to making the final offer. Their deep learning algorithm is offering drastic improvement in features like resume indexing and matching. The startup believes that their AI and ML advancements would increase the accuracies further by understanding the hiring patterns of the sector and companies, and their team of 11 members in data science and other tech roles are driving these key innovations. Also Read Start-up of the week: Instalocate- A chatbot that claims to make your travel more comfortable!